The Community Ecumenical Service Honoring Rev. Dr. Martin Luther King, Jr. held at Second Missionary Baptist Church on January 15, 2018. 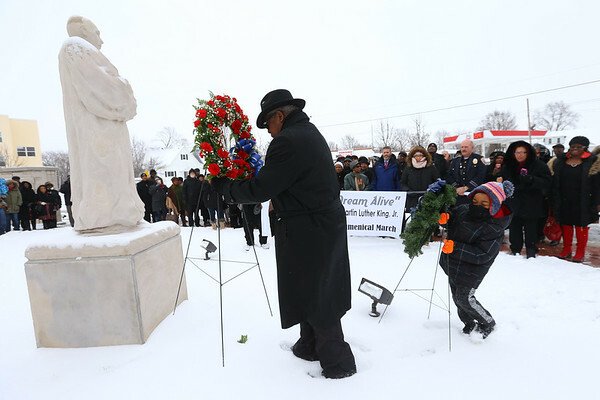 Reverend Robert Lee and Zahir Williams, 6, lay the wreaths at the MLK statue.